READ Who Was The Mad Gasser Of Mattoon Illinois? 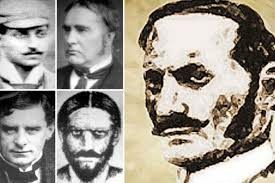 Posted in PeopleTagged Aaron Kosminski, Jack the Ripper, John Pizer, Michael Ostrog, Montague John Druitt, Mary Ann NicholscommentLeave a Comment on Jack The Ripper Solved! ?